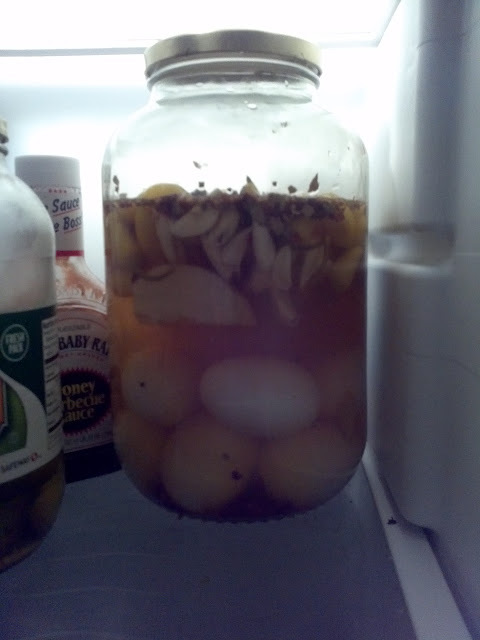 At long last, I have made another batch of pickled eggs. I'm sure at least three of my readers will be excited to hear this. It is actually quite easy. Boil and peel eggs, add equal parts water and vinegar, garlic, onions and pickling spices. Let sit at least 10 days. Enjoy. How many gate posts can there possibly be?